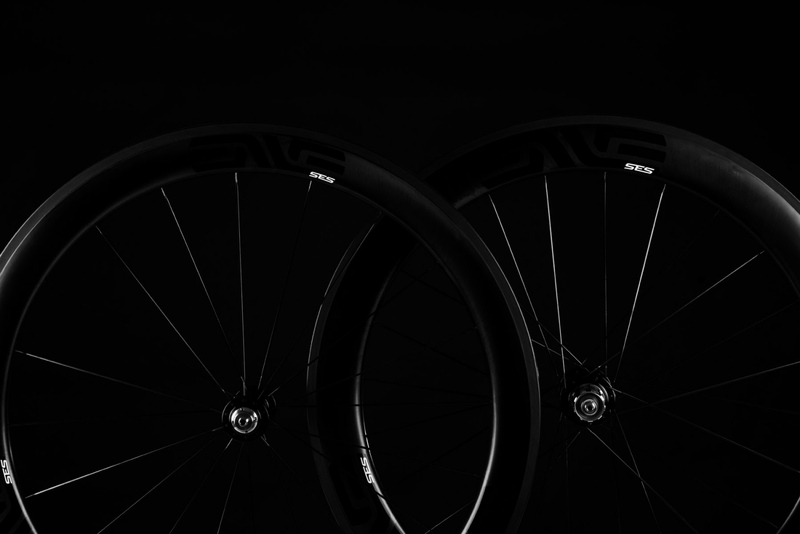 The latest road tubeless wheels have arrived in the form of the new ENVE SES 5.6 rim brake offering. 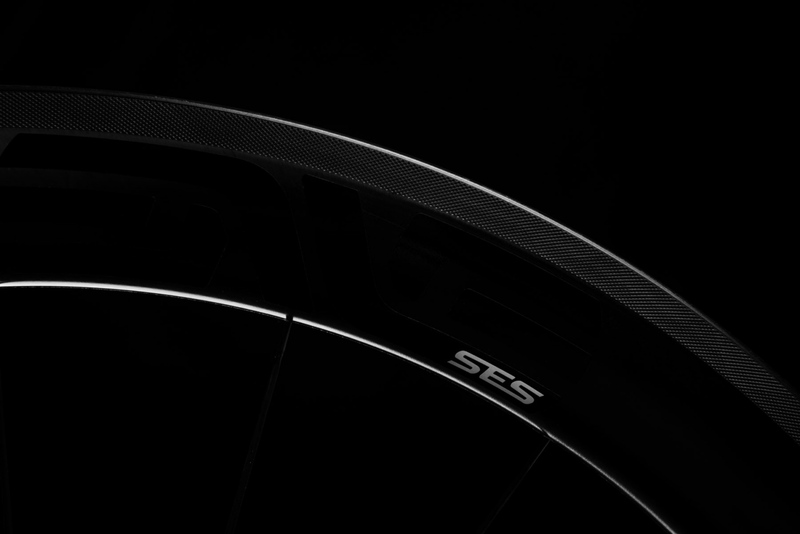 The SES 5.6 supersedes the SES 4.5 with the inclusion of the latest SES aero shaping, ENVE construction, and tubeless tire compatibility. 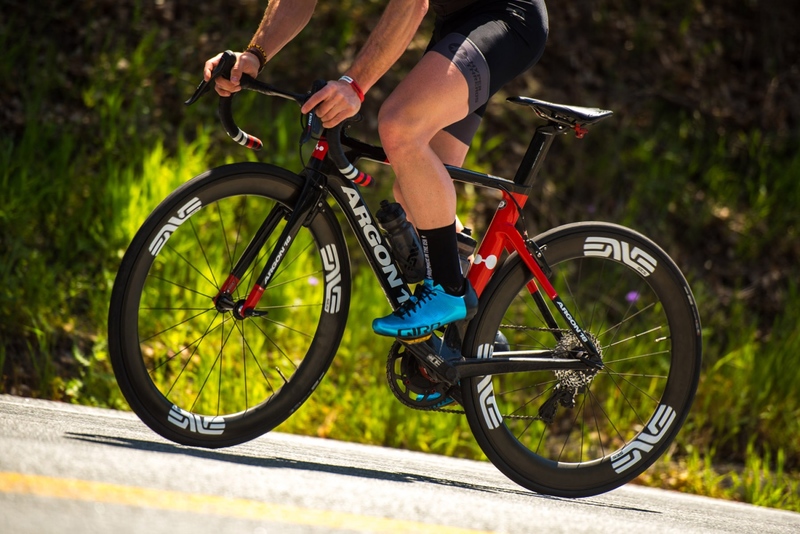 Designed and manufactured to meet the demands of the world’s best road racers and triathletes, the ENVE SES 5.6 is the Utah-based company’s new medium depth aero wheelset. 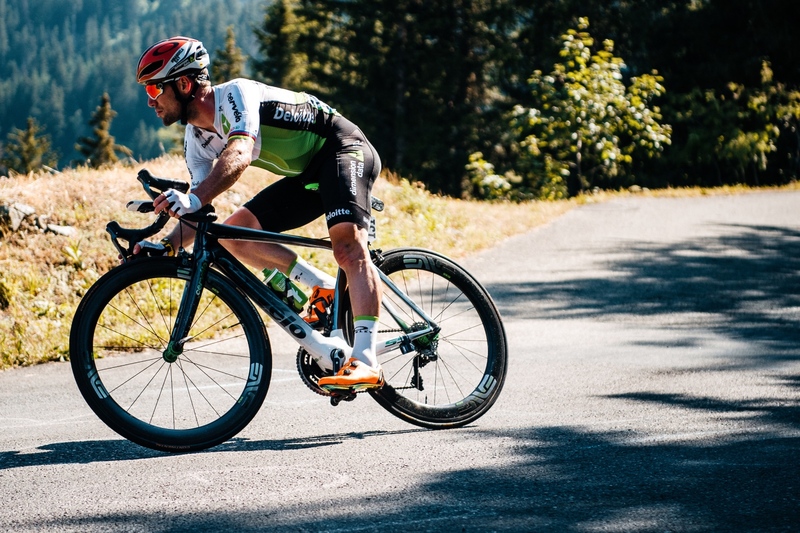 The ENVE SES 5.6 was raced by Team Dimension Data throughout the 2018 Tour de France. 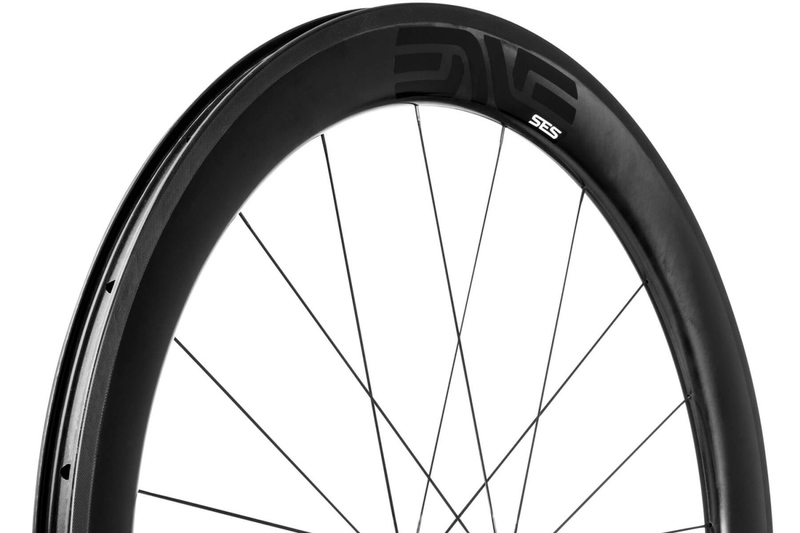 The rim shape of the ENVE SES 5.6 is built upon the foundational principles of previous SES wheel models. As such, the geometries between the front and back rims are different. 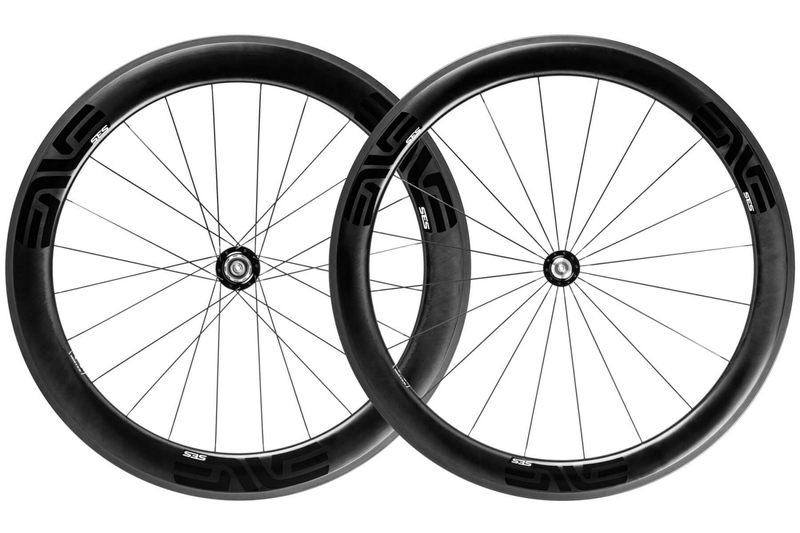 Read the RoadBikeReview post of the ENVE SES 4.5 wheels here. 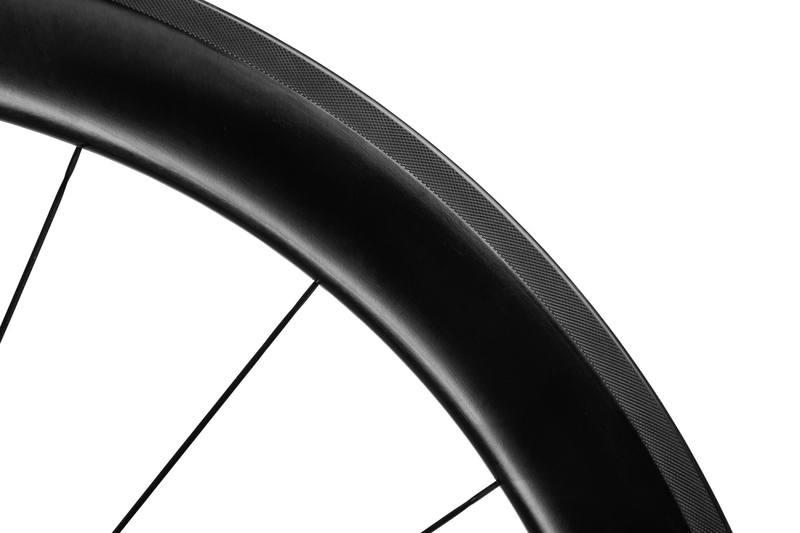 The front rim is wider and shallower to reduce the tradeoffs between drag reduction and variable cross wind stability. The back rim is marginally deeper and narrower to maximize drag reduction. 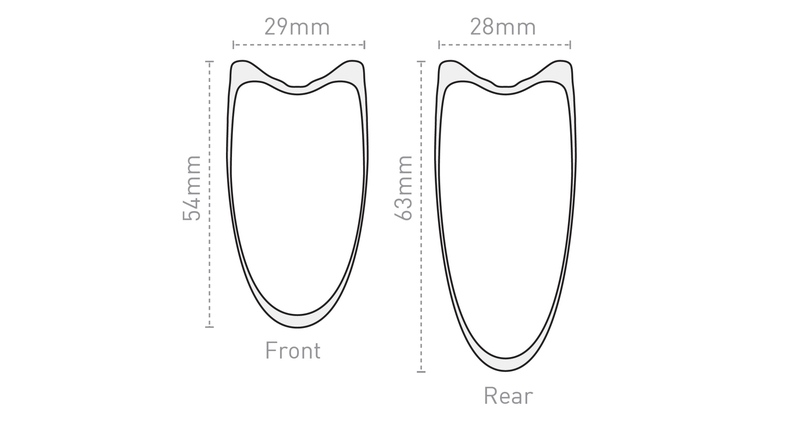 Specifically, the ENVE SES 5.6 features a 54mm deep by 29mm wide front rim and 63mm deep by 28mm wide rear rim. 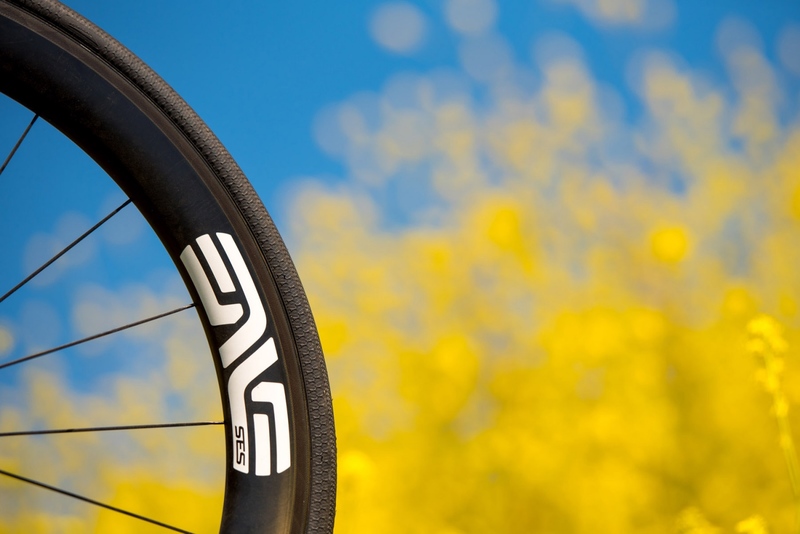 The ENVE SES 5.6 rims and wheelsets are available as both tubular and tubeless-clincher models. 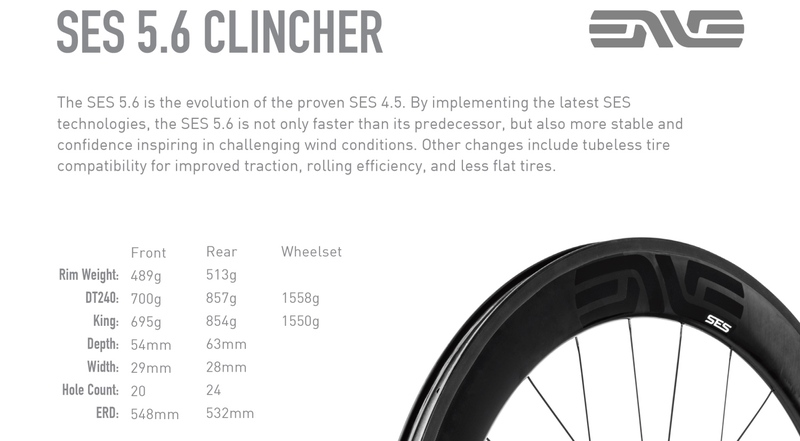 The SES 5.6 Clincher is now shipping to US consumers and will be available globally along with the SES 5.6 Tubular by the end of September. Clincher rims are $975 apiece, with complete wheelsets ranging from $2900 to $3400 depending on hub choice. Tubular rims will sell for $899, with wheelsets ranging from $2700 to $3200. In addition to the aerodynamic improvements that accompany the ENVE SES 5.6, the new wheelset is also road tubeless compatible. Given the racing bias of the wheelset, it has been optimized around labeled 25mm tires. By replacing the SES 4.5, all ENVE SES wheelsets are now road tubeless compatible. 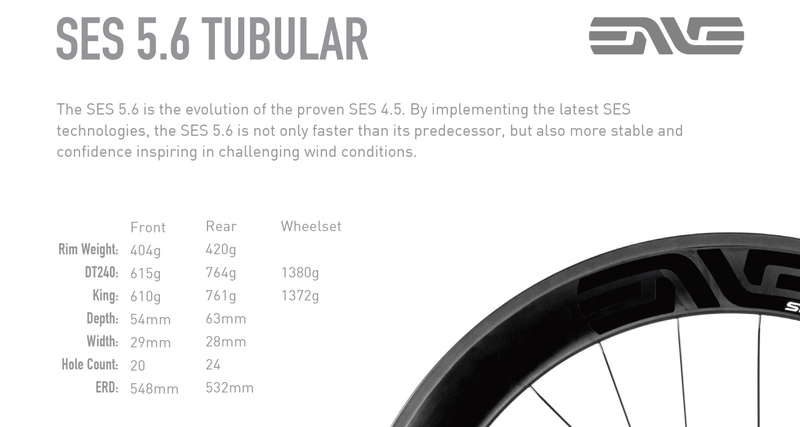 While the new ENVE SES 5.6 replaces the popular SES 4.5 as the flagship road race wheel, ENVE says that the popular SES 4.5 will remain in the line as a legacy product for cyclists with older bikes incompatible with the wider geometry of the latest SES designs. To learn more head over to enve.com.